Disney+ makes its long-awaited debut later this year, bringing with it a slew of new original programming that includes a handful of shows set in the MCU. However, it looks like the streaming service will also be examining the Marvel Universe from an academic perspective. Via Nerdist, Disney has inked a two-year deal with filmmakers David Gelb, Brian McGinn, and Jason Sterman. The trio will produce nonfiction shows for the platform through their Supper Club banner. One of their offerings is an anthology series focusing on Marvel’s impact over the last several decades. Gelb, McGinn, and Sterman are developing the new series under the working title Marvel 616. Obviously, the name is derived from the designation for Marvel’s mainstream comic universe. 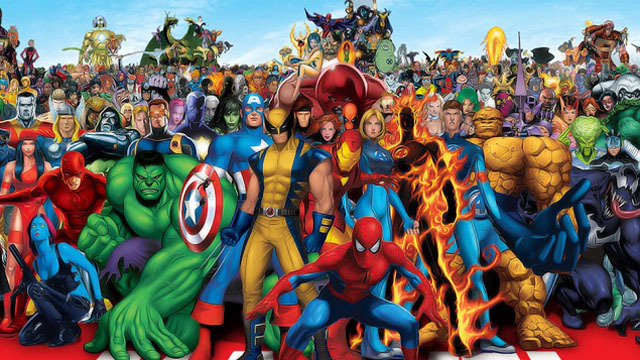 According to Disney, the show “[explores] the intersection between Marvel’s rich legacy of stories, characters and creators and the world outside your window.” To do this, the producers will interview a wide assortment of other filmmakers about how the House of Ideas influenced pop culture as we know it today. Although the three filmmakers are working together on Marvel 616, they’ve achieved success individually as well. Gelb directed the 2011 documentary Jiro Dreams of Sushi and also created Netflix’s Chef’s Table. In 2016, McGinn co-directed Netflix’s Amanda Knox, which earned two Emmy nominations the following year. Sterman produced 2017’s Five Came Back, a docuseries about five directors who served in World War II. That series featured commentary from Paul Greengrass, Steven Spielberg, Francis Ford Coppola, Guillermo del Toro, and Lawrence Kasdan. Additionally, Vital Thrills is reporting that Disney will produce an entirely different show called Marvel’s Hero Project. This series emphasizes the human aspect of being a hero by spotlighting kids who work to effect positive change in their local communities. Marvel 616 and Marvel’s Hero Project will presumably arrive with the launch of Disney+ later this year. Which of the series are you most excited for? Give us your impressions in the comment section below!